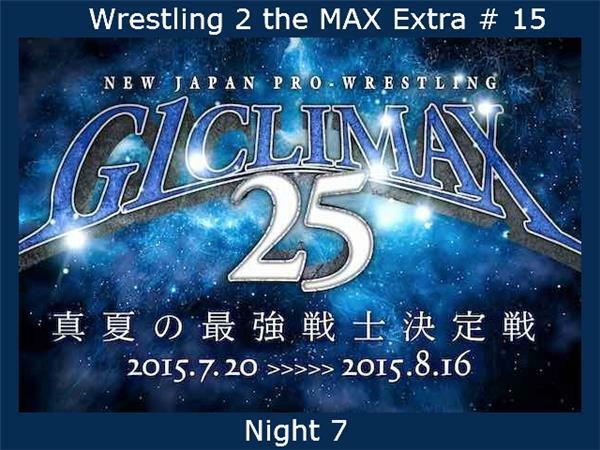 New Japan Pro Wrestling traveled to Fukuoka, Japan for Night 7 of the G1 Climax 25 tournament. What happened on the show? What are the matches to watch? Did Nakamura return? How was Kota Ibushi vs. Katsuyori Shibata? Sean breaks it all down. Sean also previews Night 8 and discusses how he's doing in the pick'em, which is really bad at this point. Don't forget that the G1 Climax doesn't return until Saturday morning, as they have two off days ahead.